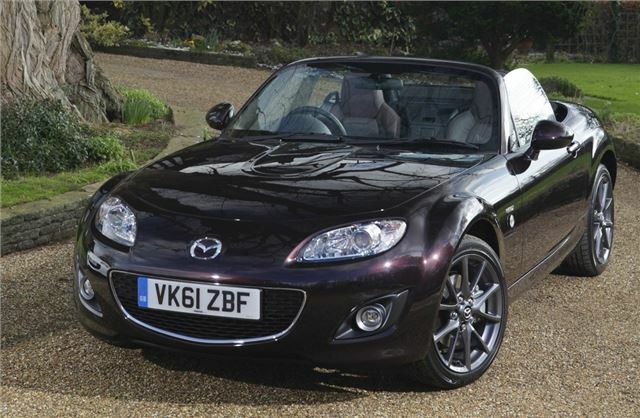 The Venture Edition is based on the MX-5 SE and Sport Tech trims and comes as either a 1.8 Soft-top SE which is £18,995 or a 2.0 MZR Roadster Coupe Sport Tech at £22,285. It adds gun metal 17-inch alloys, front fog lights and a chrome grille. Inside there's a Havana Brown leather interior including heated seats, plus a leather steering wheel with contrasting grey stitching. It also gets sat nav - the first time it's been offered on an MX-5. The system is supplied by Sanyo TomTom and includes an integrated 5.8-inch touchscreen, coverage of 45 countries plus iPod connectivity and Bluetooth. Just 250 examples of the Venture Edition Soft-top and 550 of the Venture Edition Roadster Coupe will be available in the UK. It will be officially unveiled at the 2012 Geneva Motor Show in March.